Day-to-night essential of cool, soft, 100% cotton. 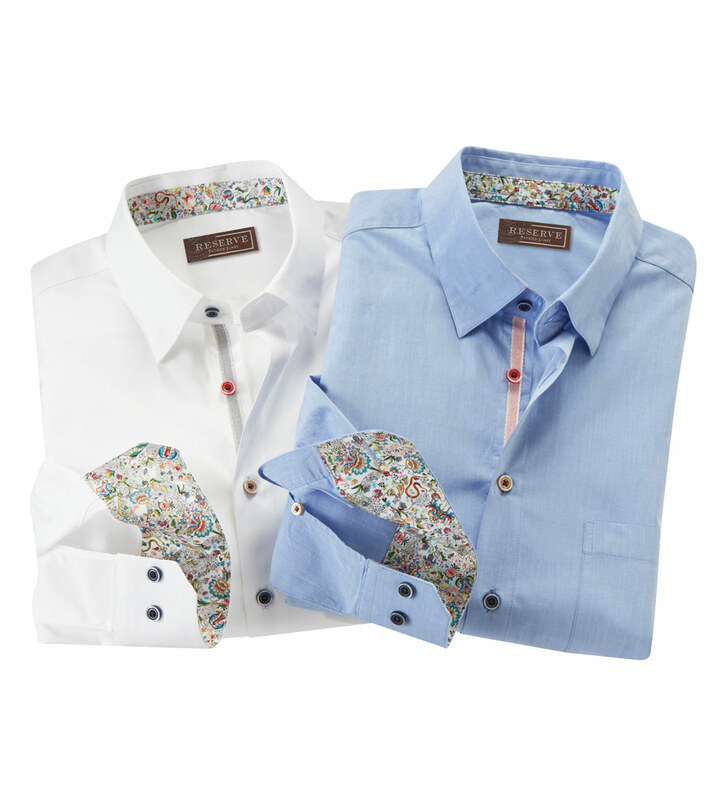 Long sleeves, hidden button-down collar, chest pocket, multi color buttons, print trim, shirttail hem. Machine wash. Made in European Union.